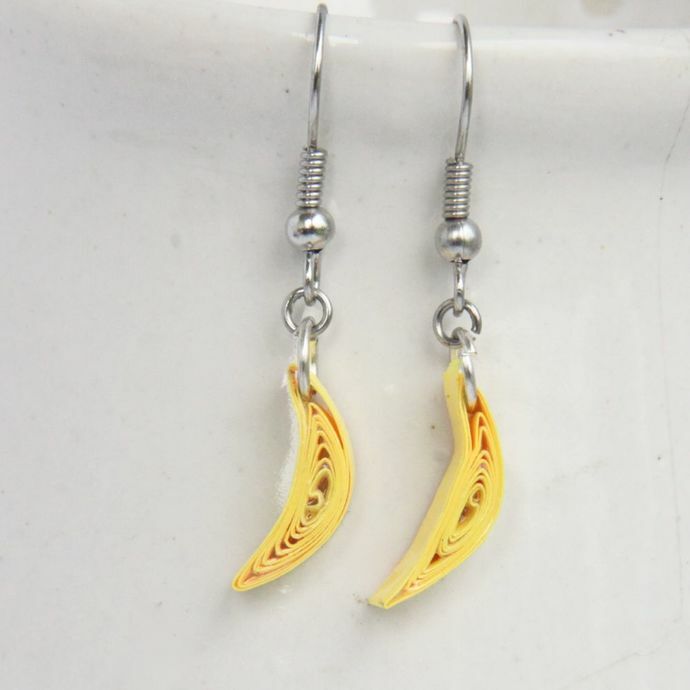 These adorable yellow crescent moon earrings (or they could be bananas!) were made by my daughter, Svara, 9 years old. They are made with specialty quilling paper and sealed with eco friendly and water resisant sealant and topcoat to be water resistant. 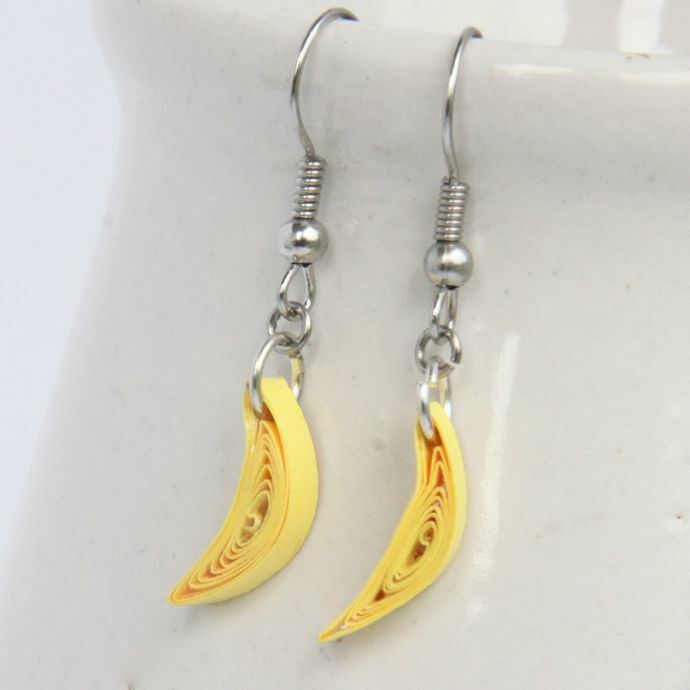 These cute earrings are finished with silver plated findings (lead free). They are approximately 5/8" (1.6cm) long (just the crescent, not including the jump rings or earwire).